Suede skirts are one most certainly a must-have fashion item this season! This trend has been popping up in all sorts of stores and all kinds of styles. I knew that I needed to get my hand on one, and I found what I thought was a perfect suede skirt back during Black Friday! 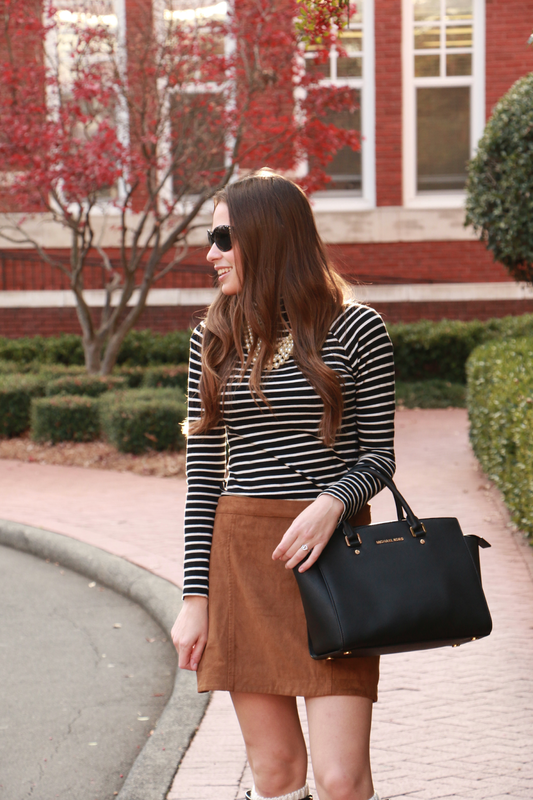 A suede skirt is such a versatile fashion piece that the styling options are almost endless. I think that this skirt would pair well with a classic winter sweater, or a simple t-shirt and cardigan! 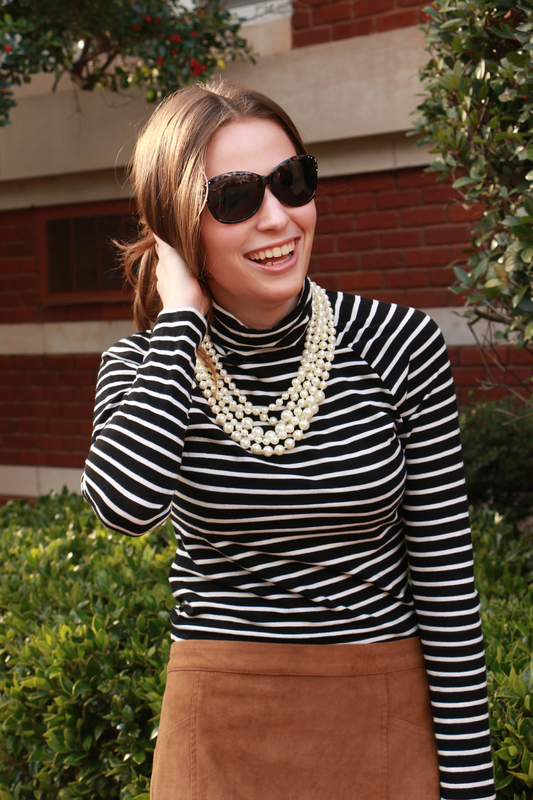 But for this outfit, I paired it with another staple of this season, a simple striped turtleneck. I added in my favorite multi-strand pearl necklace and riding boots for an added classic and preppy twist, and boom! One of my favorite school-day outfits from senior year (so far) was born. Have you hopped on board yet with the suede skirt (or simple turtleneck) trend? Hope that y'all are enjoying the long weekend! 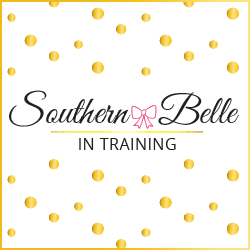 If you have a second, head over the my Charlotte blogger bestie Morgan's blog. How 2 Wear It, to wish her a very happy birthday today!! I freaking love this outfit girl! I have wanted a suede skirt since summer and I still haven't picked one up yet. You look so cute in this combo, now I feel like I need to rush out and buy one. Adorable! I'm actually obsessed with this outfit. Suede is my favorite fabric and I love seeing it being utilized a ton this season! Love this! 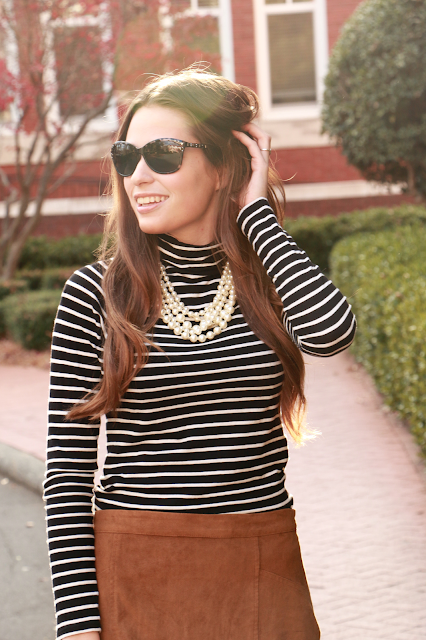 I'm a lover of stripes and I think that top looks great against the suede. Also...love your sunglasses! Love this outfit on you, girl! Yay you look so pretty!! I love the black Michael Kors purse, I have a very similar one from Nine West that I love and keep my iPad and business essentials in. I love the suede skirt trend! perfect for winter! You are wearing two pieces that don't agree with my body - suede and turtlenecks. I'm so jealous at how flawlessly you put this together. It looks so awesome on you! I've been seeing so much suede this season, and I can't seem to find anything that looks decent on me. Love this. I have been meaning to get a suede skirt too. I have seen them EVERYWHERE! SO cute!! I love suede right now it gives off such a fun 70s vibe! You look amazing! I am obsessed with your turtleneck! I have been looking for a similar one EVERYWHERE! Love how you styled it! The pearls add such a classy vibe to your outfit! I love the suade skirt trend! 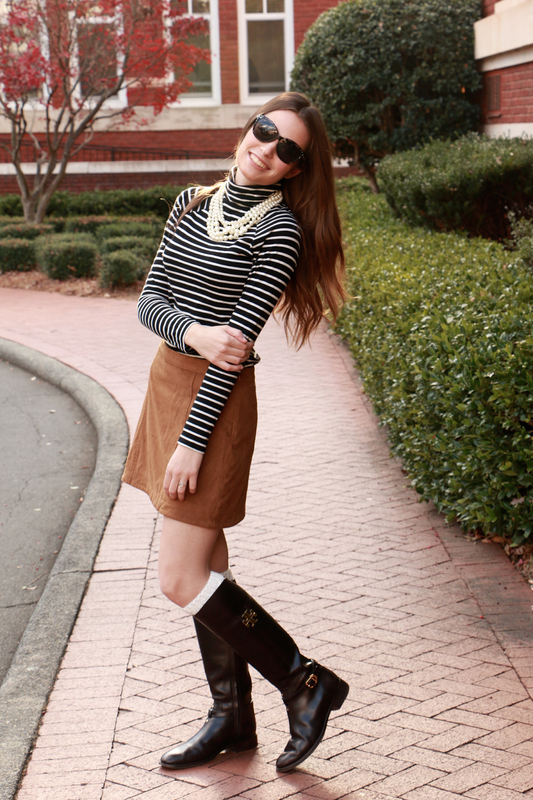 I'm SO hoping it carries over into spring - love how you styled it Annaliese! 7 Truths about Greek Life. A Christian Perspective on Tinder. 2015: The Rest of My Year.